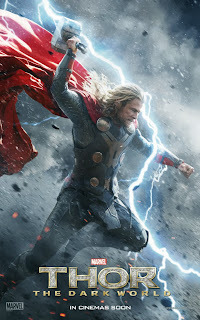 In this installment of Thor, they set the story by telling the tale of when Odin's father had led the Asgardians into battle with very formidable foes called The Dark Elves. The Dark Elves had the advantage by having a very strong weapon called the Aether. The Aether is a kind of dark force that can change it's form and cannot be destroyed. The Dark Elves led by Malekith were almost victorious but Odin's father, Bor, manage to win the war against the Dark Elves at the cost of a lot of Asgardians lives. Since the Aether cannot be destroyed, they buried it away deep where no one could find. The few Dark Elves including Malekith hides away awaiting another opportunity again where they can recover back the Aether and tries to rule the 9 realms. 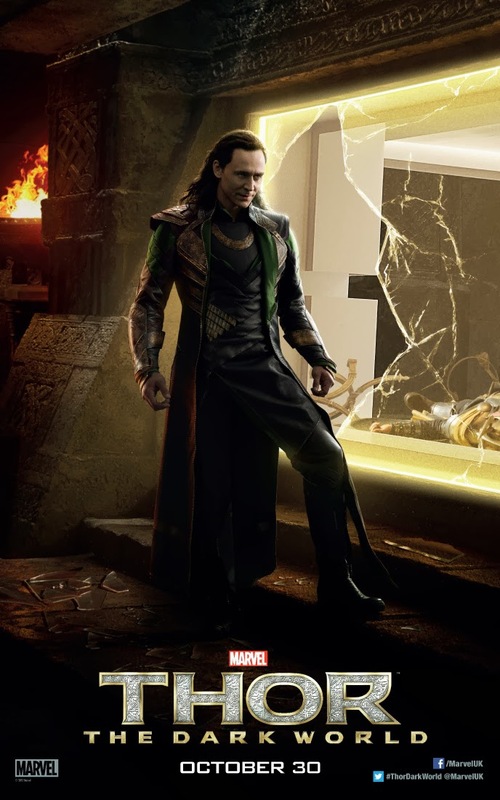 Back to the modern day, it picked off where the first Thor movie left off with Thor who had to leave his Earth love interest to clear up the mess his brother, Loki, had made. Though it's been a couple of years and Jane still misses Thor a lot, she tries to move on by going on a date with someone at a fancy restaurant. Along came her intern, Darcy, showing up and crashing her date by showing her data readings that were off the charts which bothered Jane and so she went off to investigate on the strange phenomena. They tried to locate Professor Erik Selvig but he was nowhere to be found. This is because he was locked away in a mental asylum when he ran around naked carrying his equipment at the Stonehenge trying to make sense of the same strange readings. So Jane and Darcy with Darcy's intern headed off to a lead on a strange phenomena at an abandoned warehouse. Over there, they discovered that heavy objects can be tipped off to float like there was no gravity and like it weighed nothing. Not only that, they discovered a dimensional gateway that when they throw things into it, it disappears and sometimes it might reappear from an exit dimensional gateway above it. These phenomena is happening because it's close to the Convergence, an extremely rare occurrence where all of the nine realms will align and the solid gateway borders between realms are blurred during this time. With all the fascination and awe, Jane accidentally stumbles upon a gateway and enters to a place where the Aether was buried. The Aether awakens and attaches itself to Jane's body. During that time where Jane went into another realm, Thor was talking to the Gatekeeper and for that moment, Jane could not be located even by the Gatekeeper. Thor got worried and decided to travel to earth. Just before he arrived, Jane regains consciousness and found herself again outside of the warehouse. During that time, Darcy had already informed the police and the police are searching everywhere within the vicinity to look for Jane. Thor also was there then, and they notice strange behavior around Jane. That's when Thor took Jane to Asgard. Sensing the Aether, the Dark Elves also awaken and decides to set their plan in motion to regain back the Aether and to destroy Asgard and the nine realms with it. 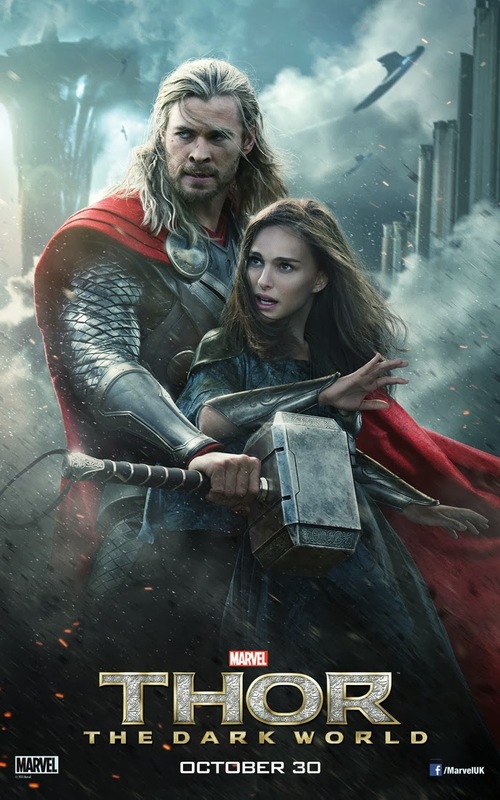 I highly anticipated to watch this movie since I like the first Thor movie a lot. 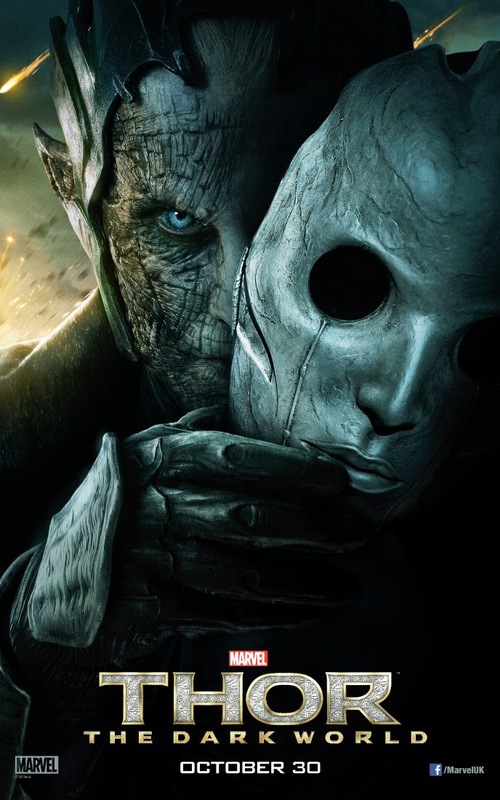 But this movie disappoints me lots in many ways. The jokes and antics they pull in the movie no doubt are hilarious but I find that it doesn't fit such a movie at all. It belongs to more of a spoof kind of movie. They hardly had much action in the movie which to me would be fine if the storyline was presented in a more interesting or artistic manner. Instead, the first 2/3 of the movie had me yawning away with a guy beside me fast asleep when it got to the halfway mark. Thor seemed to me like a lovesick puppy who rushes to the aid of Jane the first sign of danger and like a teenager who likes to rebel as much as possible. Surprisingly, Loki proved to be more of the hero in the movie than Thor. But there are points I enjoy like introducing some great Asgardian characters into the Thor movie scene such as Fandral, Volstagg and Sif. And I also must say the effects and CGI were incredible and I believe watching it in 3D would be awesome. Seeing that it's not entirely a bore and there are interesting parts with great visual effects, I rate it 3 stars out of 5. PS: There is a mid credit scene and a post credit scene so if you're interested, stay for it after the movie ends. Honestly...it was a tad disappointing...the fighting scene...the finale was just too short and not intense enough. I agree. It needed something to spruce up the movie. All my friends are talking about Thor, but I haven't watched it yet. Don't think I will. Not my kind of movie. I see. Well, superhero type of movies are more for guys.